An Uber rider in downtown Toronto was charged 18,518 Canadian dollars, or about 14,378 American dollars, on Friday for a ride that was five miles and 21 minutes long. All just a mistake, Uber has said. The mistake, apparently, was with the driver, an Uber spokesperson told the CBC. Uber says the ride in question took place in a traditional taxi cab signed up to the ride hailing service — an option available to customers in Toronto — and that the driver made a mistake when entering the details of the fare into his cab’s meter. The refund only came after someone who said they were a friend of the passenger tweeted out the receipts. What I sort of can’t believe is that the passenger initially agreed to pay the money at all, necessitating the refund. 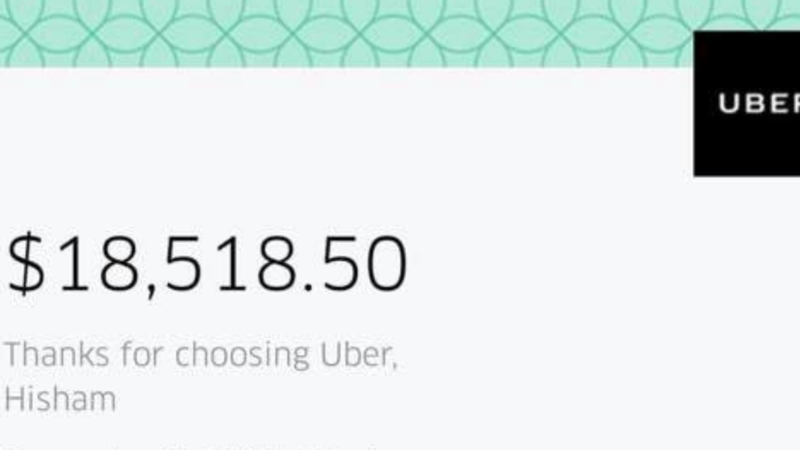 Paying fourteen grand with the hope that you’ll be able to settle up later with Uber takes some faith.